Family Service of Lake County provides programs, services, and referrals that respond to identified needs of the rapidly growing senior and caregiver population. All programs and services are provided at no out-of-pocket cost to clients. Additional sources of help for seniors and caregivers are listed on our Other Family Resources page. Lack of knowledge of and access to resources are serious barriers to seniors’ independence. The services our clinicians and senior advocates provide help to reduce stress and improve quality of life for both seniors and caregivers. 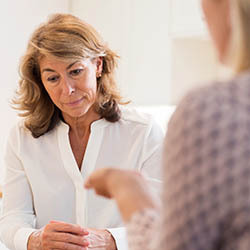 Family Service of Lake County’s licensed therapists provide mental health counseling to seniors and caregivers at our main office or through home visits throughout Lake County. Therapists can assist with a range of issues, including family relationships, grief, transitions, depression, and more. For more information about our counseling services, please see our Counseling page. We also offer two caregiver support groups. 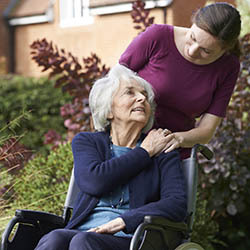 Being a caregiver responsible for a loved one can be challenging and stressful. Caregivers who are new in their role may be unaware of the resources available to them. Family Service of Lake County assists family caregivers of seniors and relatives raising minor children who need information and referrals for needed resources, respite (a break from caregiver responsibilities), gap-filling (the cost of handicapped rails, for example), assistance with legal issues, and caregiver support groups. For more information, contact Linda Magad, Caregiver Resource Center Case Manager, at 847-432-4981 x110 or lmagad@famservice.org. 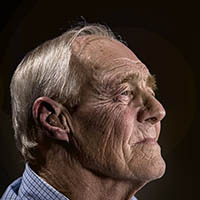 Our Senior Advocate, located at Dickinson Hall in Lake Forest, provides services to Lake Forest and Lake Bluff residents including short-term counseling, information and referrals, connections to health insurance and other benefits, and much more. The Senior Advocate facilitates a Home Alone Group, which is an opportunity for those living alone to share the triumphs and challenges of life, discuss daily events, and support fellow members. The group provides an opportunity for members to develop positive relationships with others who also are living alone. Our experienced staff facilitates support groups for anyone who is taking care of a spouse, family member, or friend of any age. Group members provide emotional support for each other and share concrete resources. The Caregiver Resource Center has been the best thing that has happened to me. It has been a lifesaver and so important to me at a time in my life when I have needed help to care for my husband. Your staff does a superior job. I have continuing health and stress issues. My counselor helps me keep my feet on the ground. I am thankful for her services. My counselor has helped me recover from my sons’ deaths. Her talk therapy is inspiring me to want to live again. I did not want to live before she came to begin visiting me in my home.